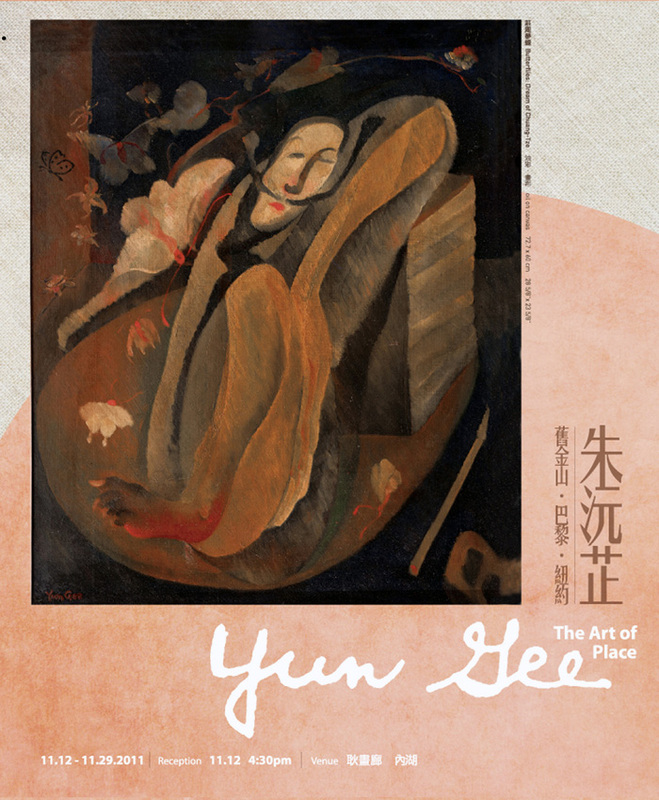 The Tina Keng Gallery (Neihu) is please to present Yun Gee: The Art of Place, on view November 12th to the 29th (opening reception: November 12, 4:30 – 7:00 pm). The exhibition provides a rare opportunity to see over 30 oil paintings and works on paper by Yun Gee (1906-1963), made between 1926 and 1952. Yun Gee lived in “in between spaces” as a result of his transnational existence, having studied and practiced his art in three different cities. From his introduction to Synchromism in San Francisco, to his exploration of Cubism in Paris, and finally to his own theory of Diamondism in New York, his works show Gee’s embrace of multiple cultures and the varied teachings he encountered throughout his travels. In 1921 Yun Gee left Guandong Province, China, to join his father, a naturalized American citizen, in San Francisco. At the age of 19 he enrolled in the California School of Fine Arts (now the San Francisco Art Institute), where he learned about Synchromism from the American artist Otis Oldfield, who had recently returned from Paris. Gee, in turn, carried these Synchromist lessons with him to Paris, where he continued creating works that emphasized color rhythms as musical patterns and were composed of abstract shapes to reveal pictorial subjects, with a quasi- Cubist style, as is evident in the painting My First Impression of Paris (1927-1928). Impressed by the modern techniques then prevalent in Paris, with their “distortion of forms” and “emphasis on atmosphere,” he incorporated a range of Chinese motifs while shifting to a more realistic style, in works such as Confucius (1929), Empress Yang Guifei at Bath (1929), and Butterflies: Dream of Chuang-Tze (1929). These were all welcomed by the Parisian art circles in his many well-reviewed shows. He sustained this combination of a Western style with East motifs when he moved to New York, where he eventually settled until his death in 1963. While in New York, his works were included in the exhibitions Paintings, Sculpture, and Drawings by American and Foreign Artists at the Brooklyn Museum of Art (1931), Murals by American Painters and Photographers at the Museum of Modern Art (1932), and Portraits of America at the Metropolitan Museum of Art (1944). All the while, he maintained his links to China. He organized fundraising exhibitions and generously donated works for disaster relief, and his native land continually served as source for his art, such as in his political comics and satires of current events, including The Chinese Lion is Aroused (1931), Peace to China (1942), and Sinking Empire (1942), all on view in this exhibition. Yun Gee: The Art of Place is being held in remembrance of Yun Gee.